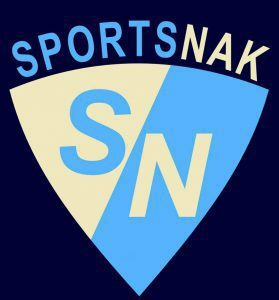 Welcome to the fourth instalment of “Brother Banter” with the brothers behind SportsNak, Adam and Rossy Pasternak. Keep checking in every week for new “Brother Banter”, and be sure to let us know what you think in the “Comments” section below the article! Adam: How about that shameful performance by this years Canadian World Junior team, not even making it to the semi-finals for the first time in 20 years. They were simply not disciplined enough and possibly were not put together properly. In my opinion, Islanders prospect Michael Dal Colle should have been on the team, as well as Sarnia Sting star defensemen Jakob Chychrun. Goaltending was also a clear weakness, and right from the get-go it just was not meant to be. Agree or disagree, Rossy? Rossy: Firstly, I think it goes much deeper than the players. I really think Canada’s roster was good enough to do better than they did. Unfortunately, head coach Dave Lowry let them down. Lowry made the Canadians use a hyper-conservative defensive system, one that almost resembled the Maple Leafs’ system under Randy Carlyle. Also, Lowry almost never kept lines together for longer than a few shifts, making it nearly impossible to generate chemistry. Last year, Canada had a lot of chemistry, with a first line of Domi, Reinhart, and Duclair dominating the entire tournament. I will never go as far as to say this team was nearly as skilled as last year’s super team, but I do think they had enough skilled players to do more. Jake Virtanen was leaned on too heavily – he’s at his best when he’s grinding, just like Travis Konecny did this year. Mitch Marner and Brayden Point played together a lot, but the winger opposite Marner was ever-changing. I would also have to say that Matthew Barzal was one of Canada’s best players this tourney, which leads me to question why he began it as Canada’s 13th forward. On defence, I thought the unit was capable, but just not skilled enough to compete with the elite skill on the other teams. Maybe Chychrun would have made a difference, but just as likely, it would have made no difference. A player who would have made a difference however, is Jake Walman. Walman, a St. Louis Blues 2014 3rd round selection, has been terrific with the defending NCAA Champion Providence Friars. Walman has 19 points in his 14 games played, but was injured just prior to the World Junior camp. Canada didn’t struggle in generating offence most times, but adding one more threat, who is also solid defensively, could never hurt. The World Juniors are not only about who wins and who loses. Many people pay attention to the tournament because of the top draft eligible prospects that play in it. This year’s crop included Auston Matthews and many others. What did you think of all the future top picks in this tournament, Adam? Adam: The future of the NHL was right in front of our eyes in Finland this past week. From Auston Matthews to the Finnish duo of Patrik Laine and Jesse Puljujarvi. It is actually possible that this year could be the first year where no Canadian born player will be taken in the top 5. Auston Matthews is the obvious number one. His combination of size and skill is perfect for the NHL game, and he’s tearing up a professional league in Switzerland while all of his friends are at school or playing junior. I like to call it “pulling a Brandon Jennings”, but lets hope it works out differently, and this case better, for the young Matthews. As well, after watching all of Team Canada’s games, I started wishing the Leafs could have drafted Dylan Strome instead of Mitch Marner. Man that kid is a player, and he’s incredibly unselfish as well. Marner played decently, but his attitude a lot of the time was not superb. He was complaining a lot, took a stupid retaliation penalty late in the game against Finland, and looked as if he was trying to do everything on his own. Marner should have taken advantage of his opportunity to play with elite players instead of trying to make plays on his own. Other than his extraordinary 3rd period against the Fins, I thought Strome was by far the better player. Your thoughts? Rossy: Right when I found out the Leafs would be drafting fourth overall, I knew Marner would be the player they ended up drafting. As a leafs fan, I would have been happy with Strome or Marner, both born and raised in Toronto, as both are exceptional players. My preference was Strome by far, as he is a better all-around player, plays a better team game, and personally, I think he would be a great Mike Babcock player. I would even go as far as to compare him to John Tavares, a slow-footed player who has great hands, an even better shot, and a good hockey IQ as well. Once Strome was taken off the board at 3, I was actually hoping the Leafs drafted Noah Hanifin instead of Marner. Hanifin is not shining too much in Carolina this season, but projects to be an exceptional puck-moving defenceman in the future. Hanifin would have joined Morgan Rielly, Jake Gardiner and Dion Phaneuf to form a pretty good defensive core for the future. I believe in building from the back-end, and picking Hanifin would have done that. Adam: In the case of Marner, I think the best thing for him would to be with the Leafs next year. Another year in London would do no good as he’s already achieved so much at the junior level. I agree he needs to go pro, but I don’t think it needs to be overseas. What he needs is a guy like Mike Babcock to point him in the right direction and to teach him how to be a professional. Being around the veteran Leafs players, and learning what not to do from Nazem Kadri, will greatly benefit him and help him mature. Enough about the Leafs though, lets talk NFL. “Black Monday” as they called it, was crazy! There were many head coaches let go, but none as notable as the firing of Chip Kelly. As well, after two Super Bowl rings and a long career in New York, Tom Coughlin was let go – what happens to him now, does he retire or does he coach again? What about the Giants, will they trade for Sean Peyton? Will anyone actually trade a hefty package for an overpaid, possibly overrated coach? There are so many questions that wont be answered for weeks, possibly months which is why I am very excited for this years offseason. What are your thoughts on all of the news coming out of the NFL this week? Rossy: In my opinion, Chip Kelly got what he deserved. He went all in on his beliefs and did what he wanted to do, and for that, I respect him. He went with his gut and didn’t care what other people said about him. Although doing this earned my respect, it also made me doubt if he is qualified to coach in the NFL. He wanted to have full control on the roster, and he got it. He wanted certain players, and wanted to get rid of others, and he did that. Problem is, he got rid of the players who led him to success, and added players who were worse, and in some cases, more expensive. In my opinion, Chip is a college coach, and should not be in the NFL as a head coach again. Coughlin, on the other hand, is one of the most respected head coaches in the league because he adapts to his players. Once a hard coach to play for, – with legendary stories about how being early was still like being late – Coughlin adapted when he heard criticisms from his players. Although he showed that he may not be the best game manager during crunch time this year, Coughlin got his players to play for him, and should be enshrined in Canton. I don’t think he will work again as a head coach in the NFL however, as there is no team in the NFL with a coaching opening that would be a fit for him. Now, on to Sean Payton. The Colts, before retaining Chuck Pagano, reportedly explored what it would take to pry him from the Saints. Apparently, the Saints’ asking price is a 2nd round pick, a steep cost to pay for a coach, even one of the pedigree of Payton. Since returning from his Bountygate suspension however, Payton has not done nearly as well, and his value is decreasing. Pagano has done a great job with the young Colts, going 40-23 with them, and leading them to the playoffs in 3 of the 4 years he’s been there. Even while being out due to cancer in his first season on the job, he was a key part in the success of the team, and interim head coach Bruce Arians, who is now thriving in Arizona. I like the Colts move of retaining Pagano, though I wonder why owner Jim Irsay gave him a 4 year deal now, after an 8-8 season, compared to the reported one year deal he offered after three consecutive 11-5 seasons. Also, I don’t understand why GM Ryan Grigson was given an extension as well. There have been many rumours of discontent between those two, and Grigson has failed to build an offensive line for the Colts’ most prized possession: Andrew Luck. Black Monday was not as extreme as in past seasons, but NFL coaches continue to struggle holding on to their jobs. Will Sean Payton stay with the Saints or head elsewhere? Who will replace the coaches who were fired? Will Dan Campbell or Mike Mularkey have the interim tag taken off, and become the real head coach of their respective clubs, or will they be discarded and someone else hired? There are many questions still to be answered in the NFL in the days, and weeks to come. Adam: It’s really hard to make predictions when it comes to front office decisions, but I must say I was extremely surprised when the Colts extended Pagano. I personally don’t think Chip Kelly will get a job in the NFL ever again. I just don’t see any team having a roster full of players who would want to play for him. He’s pretty much ruined his reputation around the whole NFL after his antics in Philly. I agree, the college route is probably where he is headed. Personally, I think it would be pretty awesome to see Sean Payton end up with the Giants and see what he could do with Eli and Odell as well as their somewhat improving defence. The playoffs are around the corner and there are many exciting games on tap, but one that I think is the best matchup of them all is the Bengals vs. Steelers game. Andy Dalton won’t be starting, but don’t doubt ex-Alabama star quarterback and now Cincy starter, AJ McCarron. He knows how to win, after playing four incredible seasons at Alabama. He’s looked solid in his few starts this year in the NFL, and the offensive skill power the Bengals have with AJ Green and the tandem backfield duo of Jeremy Hill and Giovanni Bernard, is definitely something for Steeler fans to be scared of. Cincy’s defence is also exceptional, which will create for a very entertaining battle between the combo of Big Ben and Antonio Brown and the Cincinnati secondary. It would be nice to see the Bengals finally come out on top in a playoff game, but unfortunately my common sense is telling me Steelers win 17-14. What are your thoughts on the games this weekend? Rossy: The game I am most looking forward to is Washington and Green Bay. The Aaron Rodgers led Packers have been here before, and know what it takes to win on the road throughout the playoffs. They won it all in 2010 as the 6th seed, and they could do it again this year as the 5th seed. Rodgers lost a lot of his weapons to injuries, and Randall Cobb has had a major let down of a season, but he and the Packers just keep on churning out wins. Washington on the other hand had a not-too-great start to the season, but Jay Gruden stuck with Kirk Cousins, and yes, I like that. Cousins has been a top 5 QB in the past few weeks, and his play is really coming on of late. Also, Desean Jackson, Pierre Garcon, and the rest of the offence is really helping him out, improving their play as well. Although Washington has played really well lately, they have also had a very easy past few weeks in terms of their opponents. I’m going with Green Bay in a close one, 27-24. Adam: I agree with the Green Bay pick, but I don’t even think it will be close. On the other hand, I do think the Seahawks vs. Vikings game will be a great, close matchup that see’s two offences that are both similar to one another. Both teams have a smaller, mobile quarterback and big, power running backs. As well, they both have speedy and somewhat unheard of receivers. I think the Seahawks win only because their defence is better and I think they can slow down A.P enough to come out on top. If the Vikings defence shows up then it could be a nail-biter. My prediction is Seattle wins 21-10. What are your thoughts on the Houston vs. Kansas City game? Rossy: Houston vs. KC is going to be a very defensive matchup. Two of the best defences in the league going head to head against each other. I give the edge to Kansas City because of two advantages: coaching, and offence. Andy Reid is a great coach, he always adjusts to the way his team is built and plays to his players strengths. Reid is a much better game manager than Houston’s Bill O’Brien, and is better at getting the most out of his players. The offensive advantage goes to Kansas City because of the QB position. Simply put, Alex Smith is much better than Brian Hoyer. Smith barely turns the ball over, and lets his receivers, running backs, and offensive line win the game for them. Smith knows his job is to put his team in a position to win the game, and he knows that the best way to do that is to limit turnovers and play safe. I think the Chiefs win this game by a low-scoring score of 17-10. Now, we will both pick our Superbowl picks, picking a winner of each conference, and predicting the score of the Superbowl. Out of the NFC, I have the Arizona Cardinals going through to the Superbowl. Their offence is dynamic as can be, and fully equipped to make it all the way to the Superbowl. Their defence is also up to the task, even with the loss of the Honey Badger Tyrann Matthieu. I have the New England Patriots coming out as AFC Champions. The Patriots have Tom Brady and Bill Belichick, and when you have those two, you are already at a huge advantage. Add in Rob Gronkowski and a decent defence, and you have a perennial Superbowl contender. The competition in the AFC is not nearly good enough to dethrone the defending champs. Adam: That’s quite the bold statement right there, Rossy. I despise the Pats and have the Pittsburgh Steelers coming out of the AFC. I think their offence, especially Antonio Brown, is too hot for anyone to handle. As well, they have the experience needed to win yet another ring. Their defence isn’t exactly the same powerhouse that it was back when they won their last ring, but it is still pretty damn good. In the NFC, I am taking the Cam Newton led Carolina Panthers. I was going to agree with you and take the Cardinals, but last second my gut told me to go with the Panthers. The Dab King himself, Cam Newton, is an absolute beast and I truly think now is his time to be on top. Ron Rivera is a great coach and has his defence fired up and hungry to win every single week. Just like the Seahawks had when they won with Russell Sherman, the Panthers have their own confident, shutdown cornerback in Josh Norman. As long as he doesn’t pull any of the crap like he did against the Giants a few weeks back, he should be able to lead them to a SuperBowl championship. That’s it for this week’s edition of Brother Banter. What do you think of our picks for the NFL playoffs? Is Marner going to be everything Leafs fans want him to be? Will Chip Kelly ever find another NFL job? Let us know what you think below in the comments section!